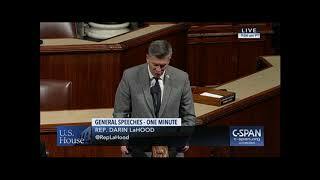 Rep. LaHood went to the House floor to support the Taxpayer First Act during debate. 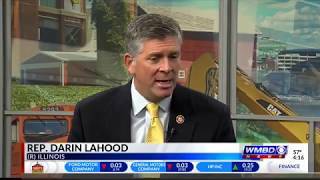 Rep. LaHood sat down with Eugene Daniel to discuss his recent trip to China. 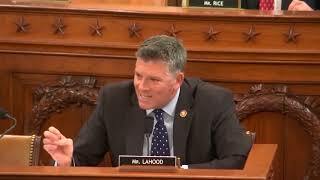 Rep. LaHood Questions the National Tax Payer Advocate at the Ways and Means Subcommittee on Oversight hearing. 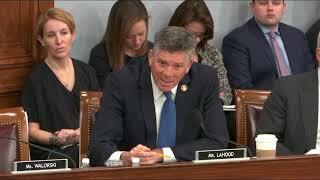 Rep. LaHood questions business leaders on the importance of infrastructure to central and west-central Illinois. 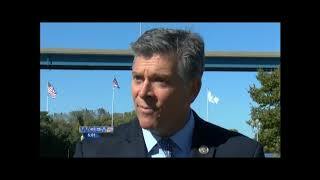 Congressman Darin LaHood congratulates the Eureka College Men's Basketball team on their SLIAC Tournament win. 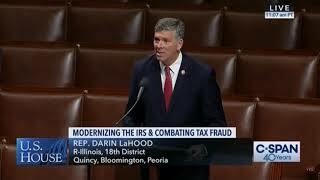 During the Ways and Means Committee hearing, Congressman Darin LaHood questioned U.S. Trade Representative Robert Lighthizer on trade between U.S. and China. 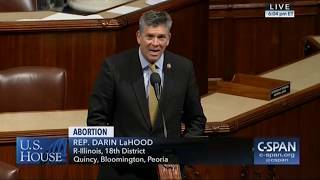 Rep. LaHood joined his colleagues to speak out against the recent push by states for extreme abortion policies. 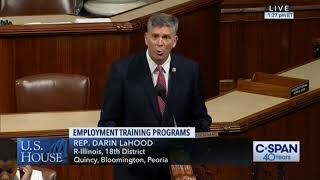 Rep. LaHood went to the House Floor to raise awareness and talk about the fight to end Alzheimer's. 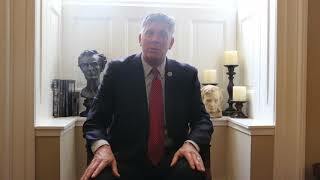 He will Co-Chair the Alzheimer's Working Group in the 116th Congress. 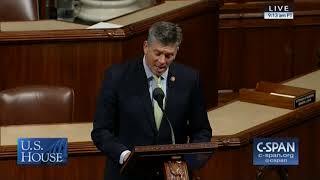 Rep. LaHood went to the U.S. House floor to recognize National Trafficking Awareness Month. 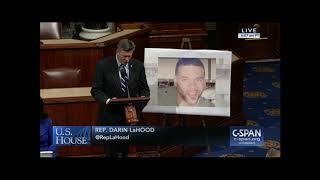 Rep. LaHood held a moment of silence on the House floor to honor Peoria native and Deputy U.S Marshal Chase White. 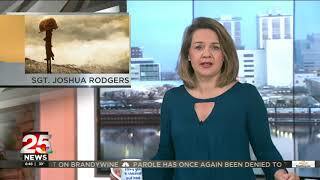 In November, Chase was tragically killed serving a warrant in Arizona. 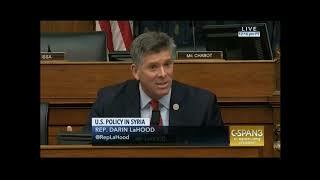 Rep. LaHood went to the House floor on 12/20 for debate on H.R. 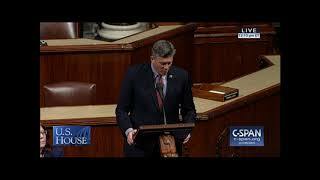 88, which includes his legislation, H.R. 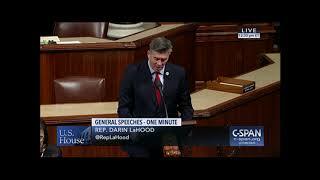 5342 the Improving Assistance for Taxpayers Act. 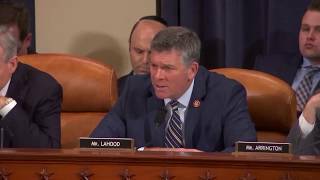 Representative LaHood joined the House Foreign Affairs Subcommittee on the Middle East and North Africa to address numerous issues including the Syrian refuge crisis in Lebanon and the impact on the region. 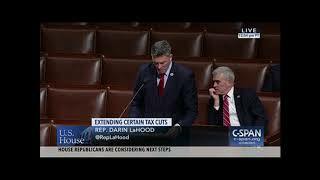 Representative LaHood went to the House floor on 11/29 to talk about his legislation to honor fallen Army Ranger Joshua Rodgers. 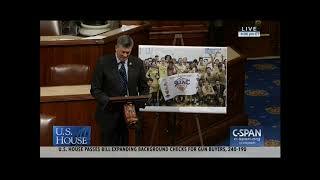 Rep. LaHood Recognizes John Eck Sr.
Rep. LaHood speaks on the House floor to recognize John Eck Sr. on receiving the State Journal Register First Citizen Award. 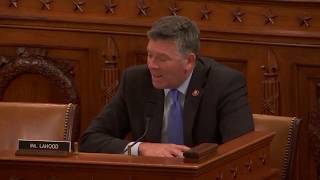 QUINCY -- Farmers are sometimes called "eternal optimists," and the discourse between U.S. Rep. Darin LaHood and members of the Adams County Farm Bureau on Thursday bore that out. 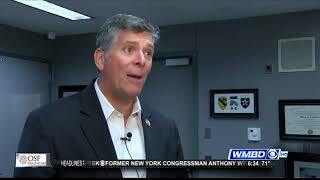 On Saturday, U.S. Rep. Darin LaHood sat down with local veterans, asking them what they need on a national level. It's for the 8th annual veteran advisory board meeting. 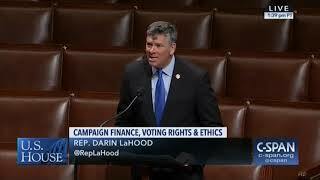 U.S. Rep. Darin LaHood will continue serving on the Ways and Means Committee in the new session of Congress. Approaching the end of the year, Americans typically take time to look back on the last 12 months, to inventory the good, reflect on their work and set new goals to achieve come New Year’s Day. In today’s political climate, it’s not often we hear of bipartisan work coming out of Washington, D.C. 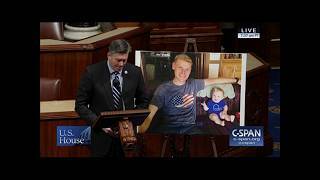 The Congressional district that I represent in the nation’s capital has some of the most fertile farmland in the entire world, making it the 8th largest agriculture district in terms of corn and soybeans production. Something unusual happened in Peoria on March 28: Two congressmen from opposite parties held a town hall meeting together. Even more unusual, the meeting didn’t devolve into partisan accusations and insults. It remained a respectful discussion of critical issues facing our country. Transportation infrastructure is the backbone of our district. It transports people to their jobs, children to school, commodities from farms to sale, products to retail, and even information to consumers. A reliable, efficient, and safe infrastructure network is vital for our country, but for too long we have ignored long-term investment in this area. A gallon of gas was $0.89, the Dow Jones Industrial Average closed at 1,895, the Nintendo Entertainment System was introduced, the world received its first email, and I was in high school. The year was 1986, and it was also the last time comprehensive tax reform was passed. Thirty-one years later, the U.S. When that phrase is spoken, followed by the distinct strike of the Speaker’s gavel, it proclaims that the people’s House has fulfilled another promise made to the American people. This month, farmers across Illinois will begin to harvest their crops. About 6.5 million Americans are addicted to it. Seventy-eight people die each day across our nation because of it. 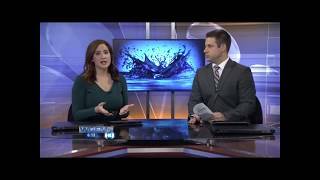 Last year, law enforcement in the 18th District of Illinois alone seized over 246 pounds of it. 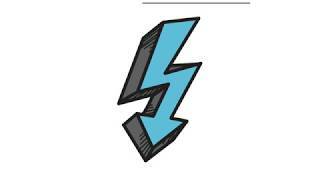 Almost 1,000 doses of lifesaving Narcan were provided to residents in Peoria and Tazewell counties to treat it. 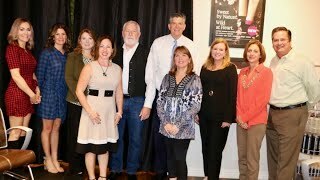 Each year, Americans from all walks of life gather together on the fourth Thursday of November to celebrate what we are thankful for.